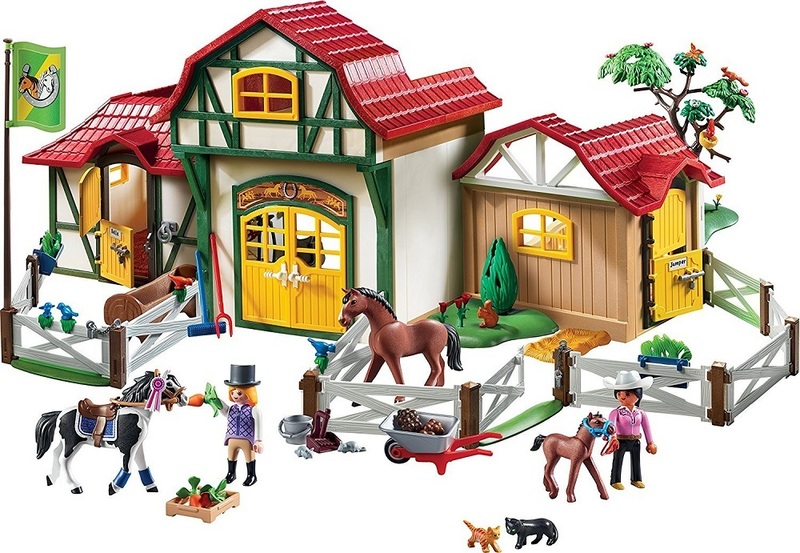 Gallop over to the horse farm. 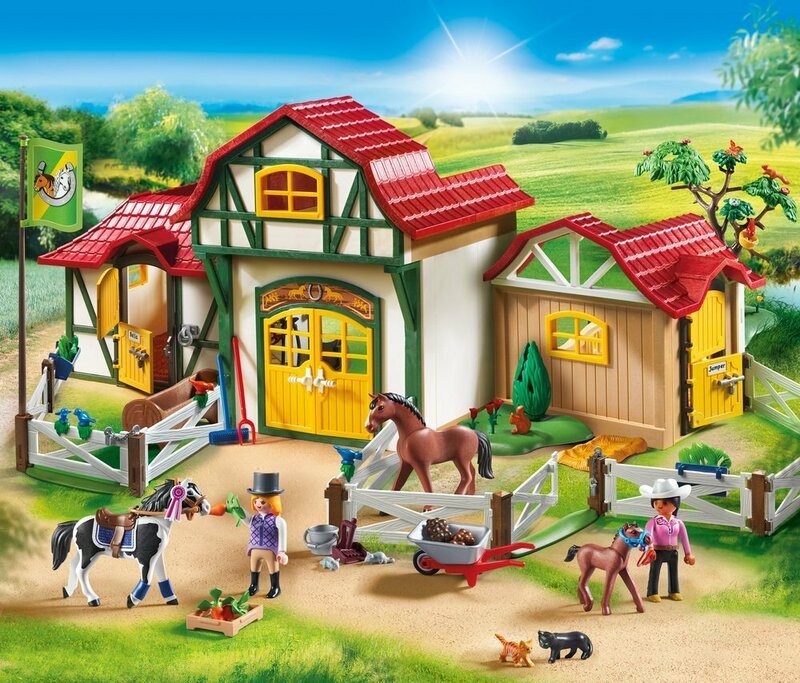 With two stalls and loft area, there is plenty of space to make sure your horses are show ready. 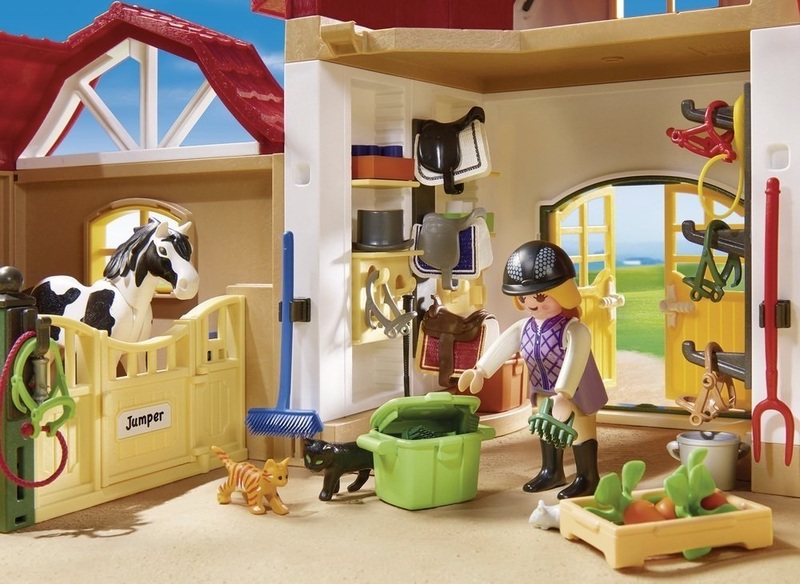 Each stall opens up into the gated enclosure to allow time to eat and enjoy some fresh air or practice show tricks. 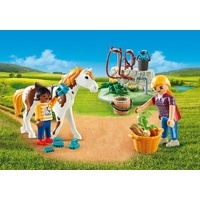 You can saddle up your horse for a stroll or use the grooming brushes to keep their coats gleaming. 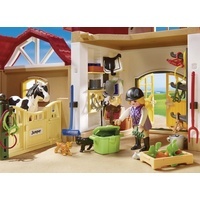 Choose a name for your horses and personalize their stalls with the customizable nameplates. 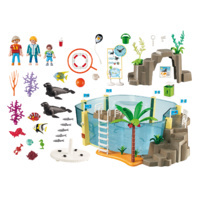 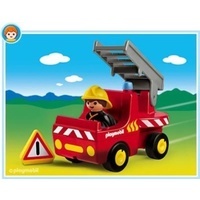 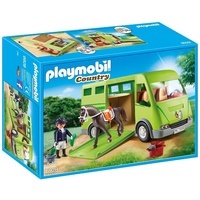 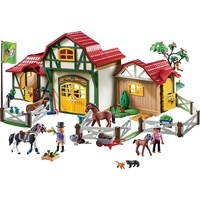 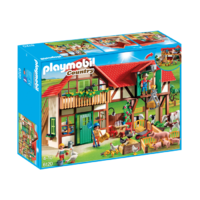 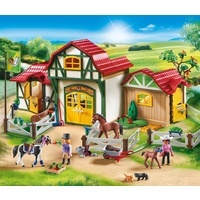 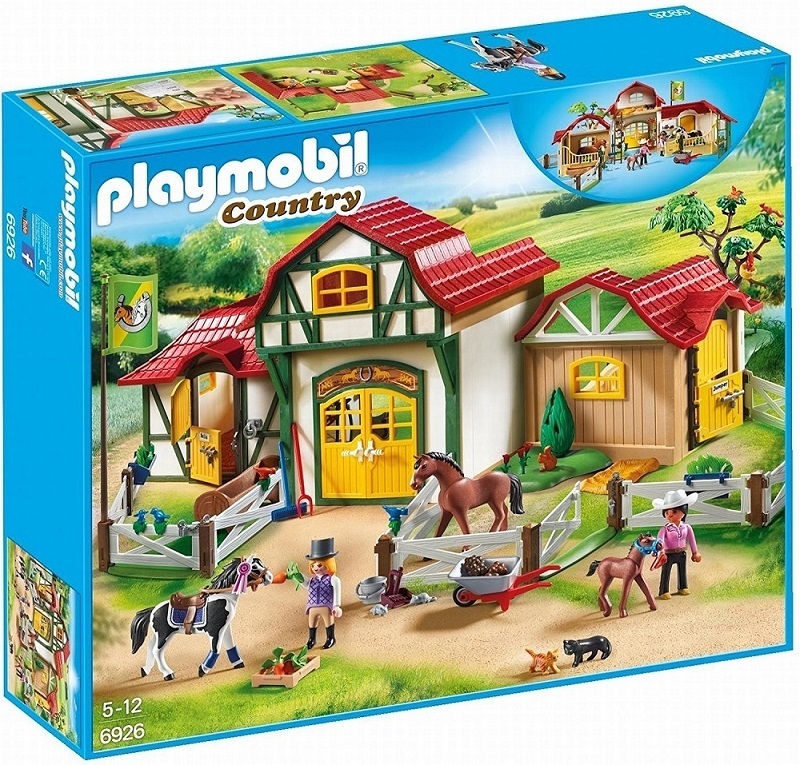 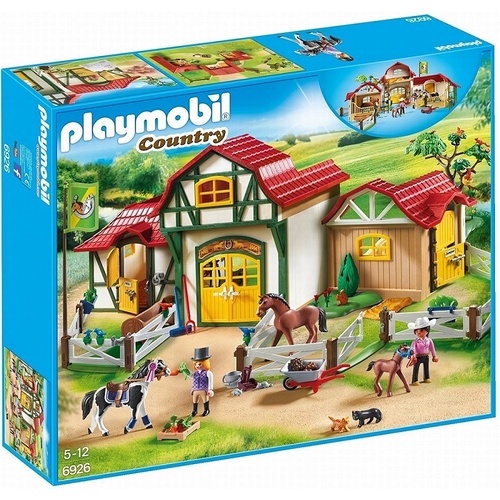 Set includes two figures, two horses, one foal, cats, squirrels, birds, feeding buckets, water trough, wheelbarrow, grooming brushes, pitchfork, fencing, and many other accessories.